We seem, as people, to have developed something of an obsession with coffee. In many countries – particularly the United States and the UK – the likes of Starbucks and Caffé Nero swarm our town centers and shopping malls, and as a result, many of us cannot get through the day without a frappé coffee, mocha or espresso. A lot of the time, we’re simply chasing that caffeine pick-me-up, and while it can work miracles in the mornings, when trying to get some sleep later on in the day, having too much of the stuff in our systems is never fun. With this in mind, Jawbone has come up with an interesting app that not only keeps track of how much caffeine we’re getting, but also, rather accurately, speculates on when we’ll be finally able to get some shut-eye. Of course, your best bet is to try and wean yourself off the caffeine altogether, since, well, it’s not all that healthy. 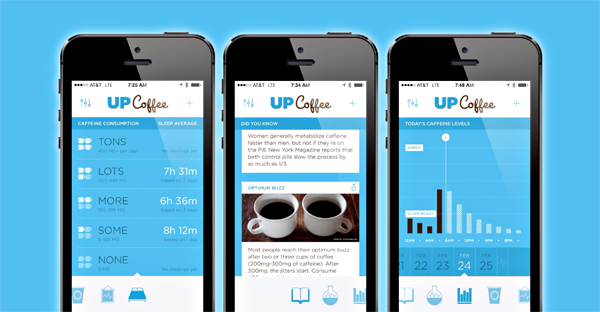 However, if you simply cannot imagine a day going by without getting that hit, then the UP Coffee app may help you at least manage things better, so you’re not wide-eyed, staring at the ceiling when it comes to bedtime. Upon firing up the app for the first time, you’ll have to put in a few personal details, and from there, you’ll need to keep the app up-to-date whenever you grab a coffee, energy drink, or any other caffeinated beverage. As long as you’re honest and don’t try and sneak anything without logging it in the app, UP Coffee will have a pretty good go at estimating how long the caffeine will remain in your system, which is useful if your caffeine binges regularly prevent you from hitting the hay at a reasonable hour. Those in ownership of the Jawbone UP band will have the benefit of being able to link it with the app for checking things like sleep versus caffeine intake, although this will no doubt only draw the conclusion that, in fact, drinking too much caffeine later on in the day will indeed hinder your ability to sleep. 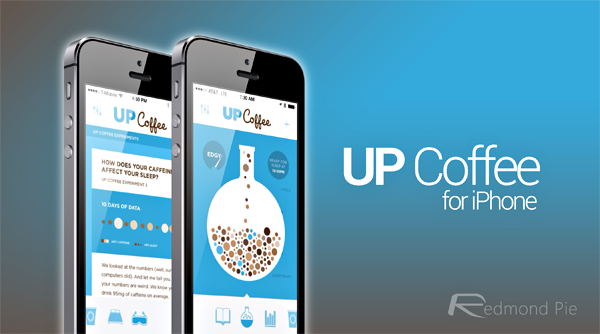 Currently available for those on iOS, UP Coffee is free to download, and can be grabbed via the direct link below.